Devoted skincare fans and avid followers of guru Caroline Hirons, will be more than familiar with Pixi's Glow Tonic which is a major cult product these days. 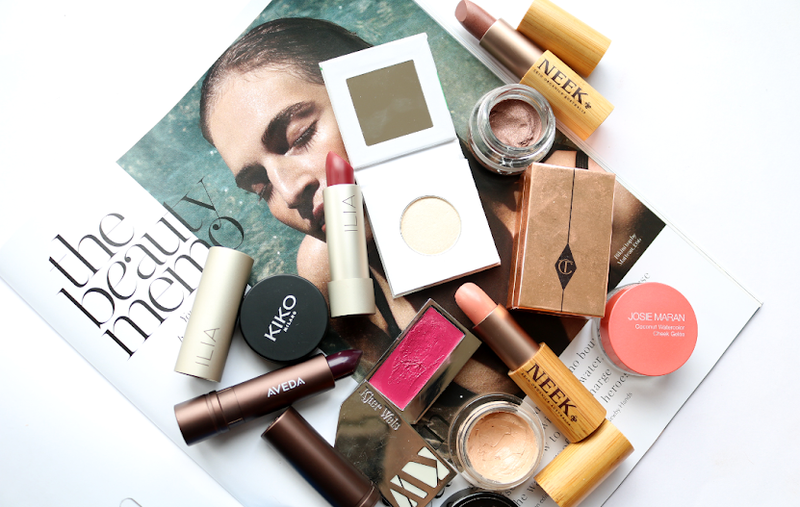 I've tested it out for just under a month now, along with Pixi's Nourishing Cleansing Balm, to give you my own thoughts on this much-loved brand. 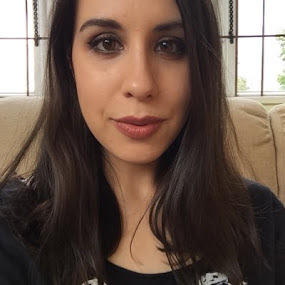 When I was growing up, all of the beauty magazines that I read advocated a rather simple and traditional 3 step skincare routine consisting of a cleanser, toner and a moisturiser. That was it. 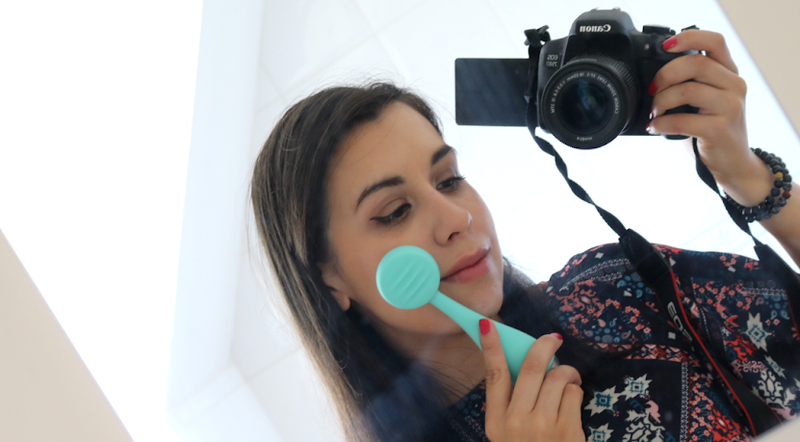 Fast forward to 2016 and a thoroughly 'modern' skincare routine can now have at least 6 or 7 (and more!) products in it, ranging from double cleansing, serums, acids, masks, peels, essences, and overnight treatments to name a few. My personal skincare routine has embraced double cleansing and since being a blogger, I have experimented with many different face masks and treatments, many of which I rotate depending on what I feel my skin needs at the time. For reference, my skin is predominantly oily/combination, prone to breakouts and can sometimes be fairly sensitive and have a lot of redness in it. I started trying out acid toners around a year and a half ago and it's these that have improved my skin the most. If you're new to acid toners, they basically help to resurface and exfoliate your skin without the need for manual pieces (scrubby or gritty bits) which can sometimes tear or irritate the skin. Different acids come in different strengths and do different things - I'd recommend checking out Caroline Hirons' blog for more info if you're interested to find out more. Glow Tonic is by far the most famous of all the acid toners currently on the market and it's one of the most budget friendly too. It's not cheap, but compared to other brands, it's very reasonable and one bottle lasts quite a while. It's formulated with 5% Glycolic Acid (AHA) which gently exfoliates, resurfaces and helps to stimulate collagen production, and it also has Aloe Vera (soothing), Witch Hazel (toning and firming), Ginseng (helps to supply oxygen to skin cells) and Horse Chestnut (good for skin circulation). Glow Tonic is oil and alcohol free, so most skin types will happily get on well with it. I like to use it after my cleanser on a cotton pad, swipe it all over, let it dry and then use a hydrating toner spray afterwards, and I find it really helps to even out my skin tone and makes my complexion look much brighther and less congested. This is a great acid toner to try out if you're new to this step of skincare and you'll soon find yourself using it on a regular basis! I love cleansing balms, especially during the winter months, so I was excited to try out this one from Pixi which launched just last year. It's a typical thick cleansing balm that has Sweet Almond Oil, Cocoa Butter and Shea Butter in it so it feels very hydrating and it smells very subtly of rose. Like all cleansing balms, a little goes a long way so don't be tempted to overdo it - you need less than you think! This balm transforms into an oil once massaged into the skin and I find it's best to remove it with a warm face cloth or flannel. It does remove makeup very well, so you can use it as either a first or second cleanse depending on your personal preference. I love the feel of my skin after using this, it's as soft as a baby's bum and always gives me a thorough cleanse. 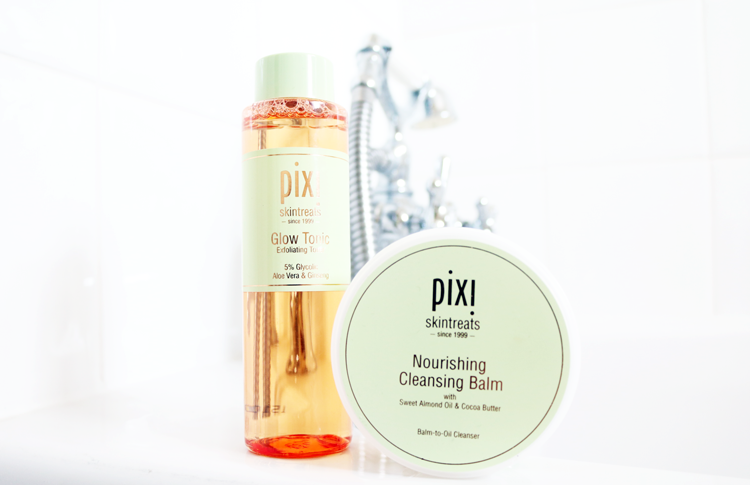 I absolutely love the Pixi Glow Tonic and the cleansing balm sounds amazing too! I have the Overnight Glow Serum too and it feels lovely!